Secret Diary, I name this is free premium cute blogger template. Girl character on header read her secret diary represent the theme. 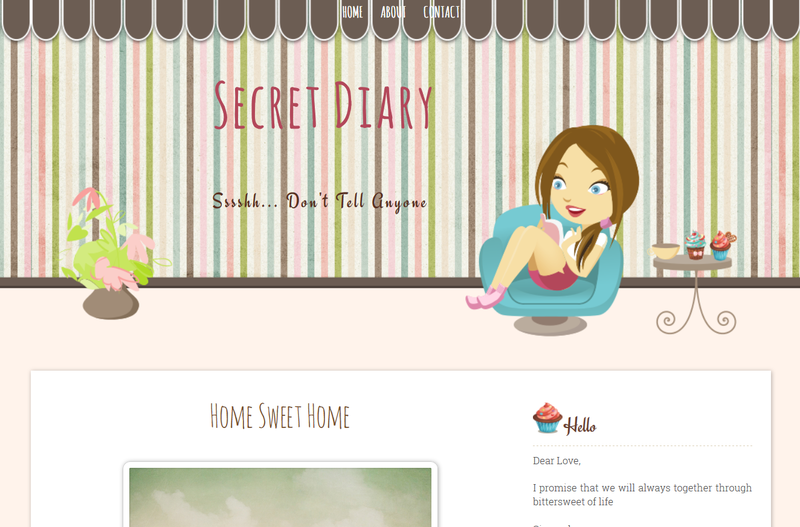 I combine cute girl graphics with stripe background and sweet cupcake, suits your personal blog. Two columns with not too many ornaments, give a perfect combination of free premium blogger template for girl. Share your personal story on your blog and let your blog design match with the content. Please preview template HERE and download XML file HERE. I tried to use it and its really pretty thank you, I just didnt get the doll sitting with the book, can you please show me how did I miss that?